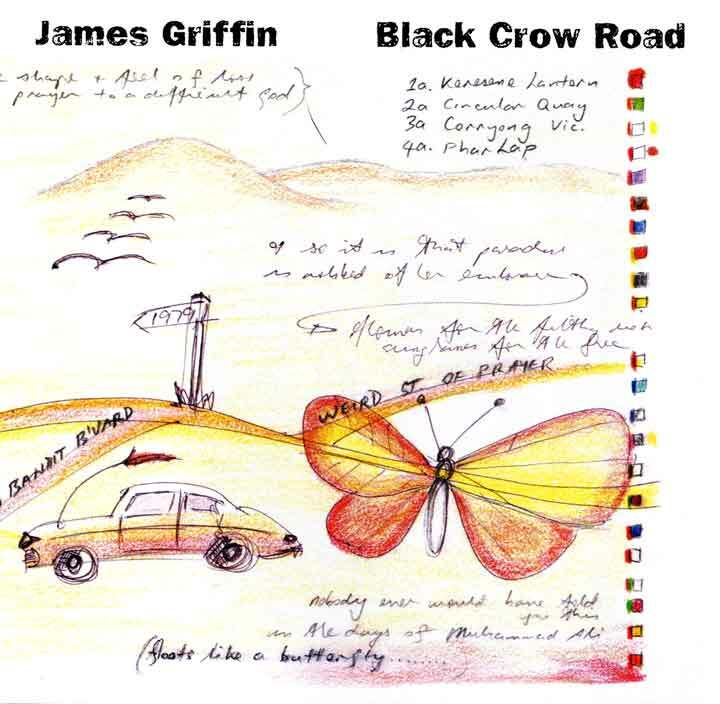 James Griffin is an Australian Singer/Songwriter, Poet and Spoken Word performer. 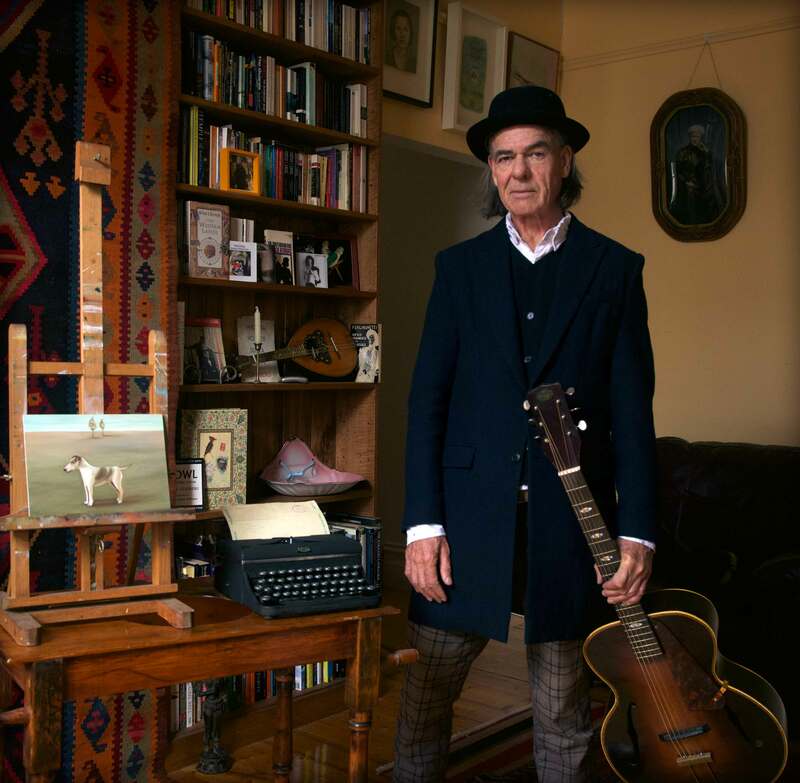 His forty year career ranges from solo acoustic work through New Wave and Alt Rock with bands, The Agents and James Griffin and the Subterraneans. Along the way James has also co-written award winning and top-ten hits with other artists including The Black Sorrows hit, Snakeskin Shoes (with Joe Camilleri) and the Golden Guitar winning, Changi Banjo (with country star, Lee Kernaghan), and written and hosted, for the Australian Broadcasting Corporation (ABC), many TV and radio programs about music, books and writing. All current releases are available from James's Store. All tracks available digitally from Apple Music, Spotify, iTunes, Google Play, Amazon, Deezer, Pandora, YouTube Music, Tidal, Groove Music (Microsoft). This new wave, independent 12 inch EP was the fourth and final record by Sydney band, the Agents. Compiled from earlier singles and released in 1983, it has never been reissued ‘til now and has only been available in its original form: the limited edition, 12 inch vinyl 45, No Adjustment To The Face. So it’s with great pleasure that we can at last make the collection available in this re-mastered, digital edition. This New Wave, independent single was the third release by Sydney band, the Agents. 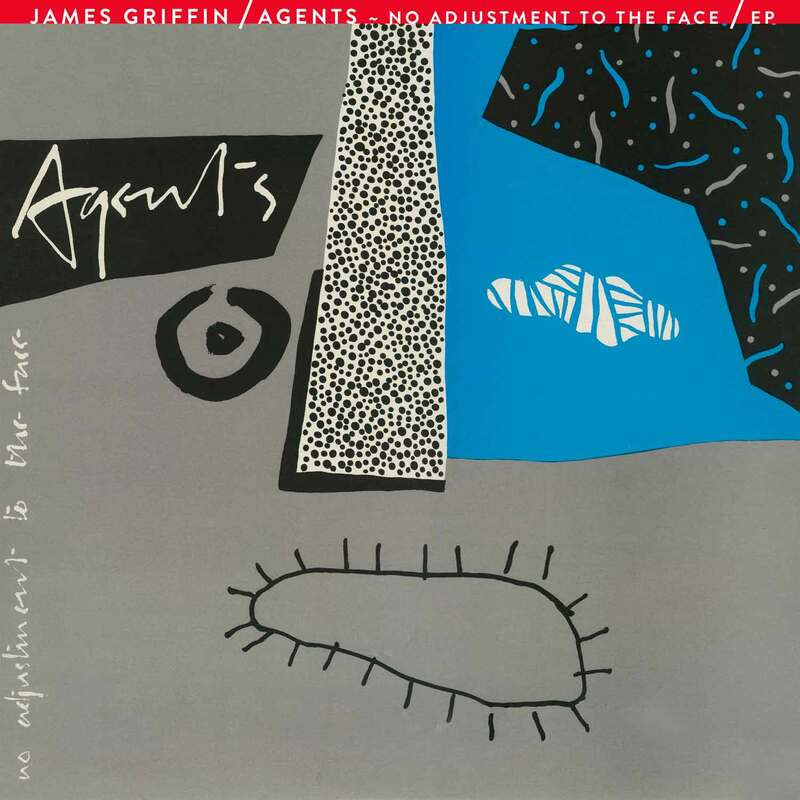 Recorded and released in 1982, it has never been reissued ‘til now and has only been available in its original forms: a limited edition, 7 inch vinyl 45, and as part of the Agents 1983 12 inch vinyl EP, No Adjustment To The Face. So it’s with great pleasure that we can at last make the song available in this re-mastered, digital edition. 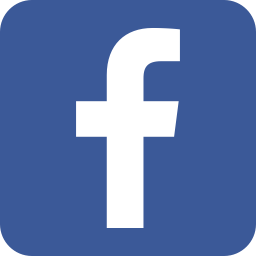 “Another great piece of new wave music composition and guitar playing from Kydric Shaw; Kim Knight and Philip Hrywka played bass and drums; and I sang my latest lyric/poem evoking the as-usual/as-ever disturbing geopolitical landscape. We recorded this very quickly and released it not long after, on the Agents newly created independent record label, Venice Beach. 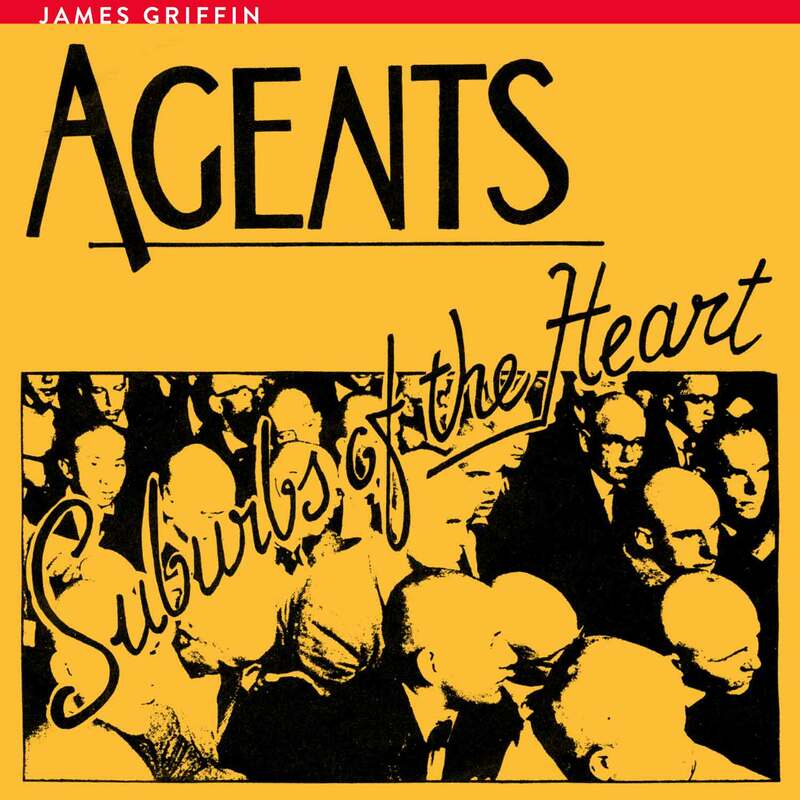 This 1981 New Wave, independent single was the second release by Sydney band, the Agents. Until now it has never been reissued and has only been available in it’s original forms - as a limited edition, 7 inch vinyl 45, or as part of the Agents 1983 12 inch EP, No Adjustment To The Face – so it’s with great pleasure that we can at last release this re-mastered, digital edition. 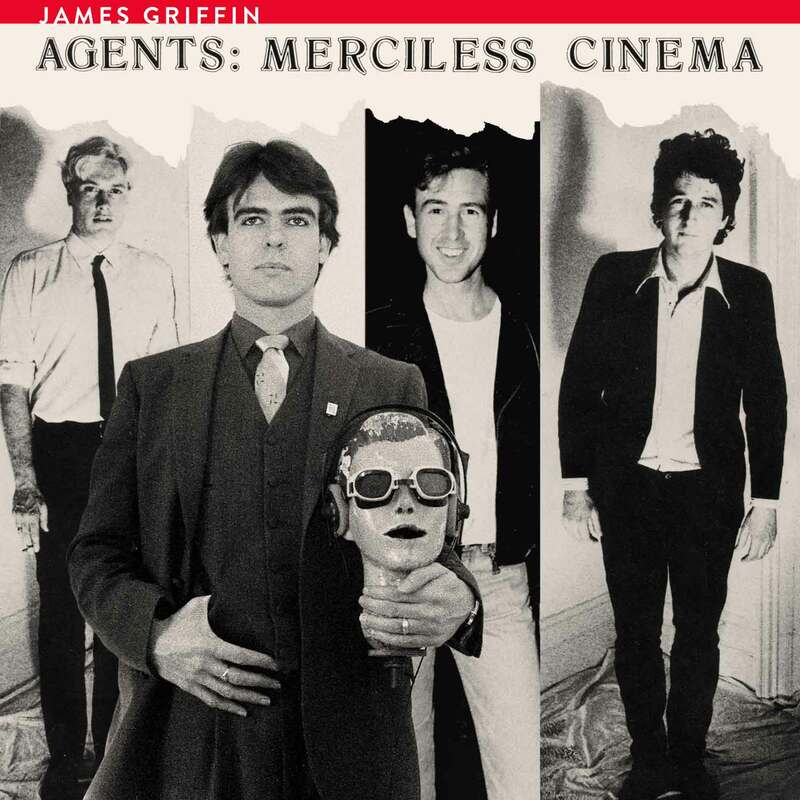 “Merciless Cinema first came out on the Agents own label; received a lot of airplay on alternative radio; was popular with DJs at music venues around Sydney; did well in the alternative charts. So it’s good to think it’s available again now – to anyone who liked it then and, of course, to new listeners coming to this cinematic song/ 'movie journey for the first time. Welcome to Merciless Cinema! This ground breaking, 1980 New Wave/spoken word/independent vinyl record was the debut single for the Agents in. 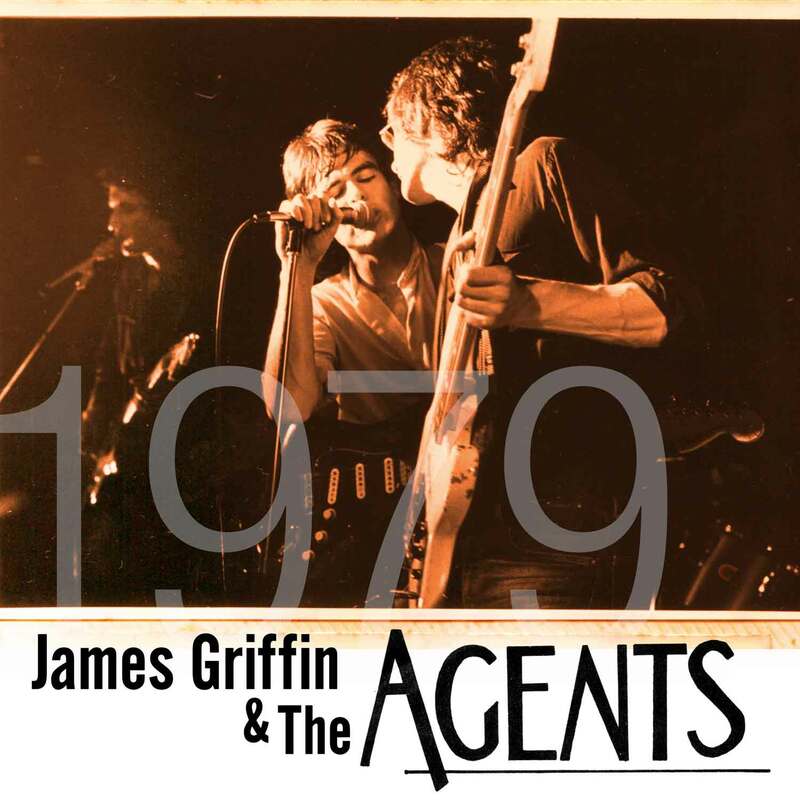 Until now it has never been reissued and has only been available in its original forms - as a limited edition 7” or as part of the Agents 1983 12 inch EP, No Adjustment To The Face, so it’s with great pleasure that we can at last make the song available in this re-mastered, digital edition. 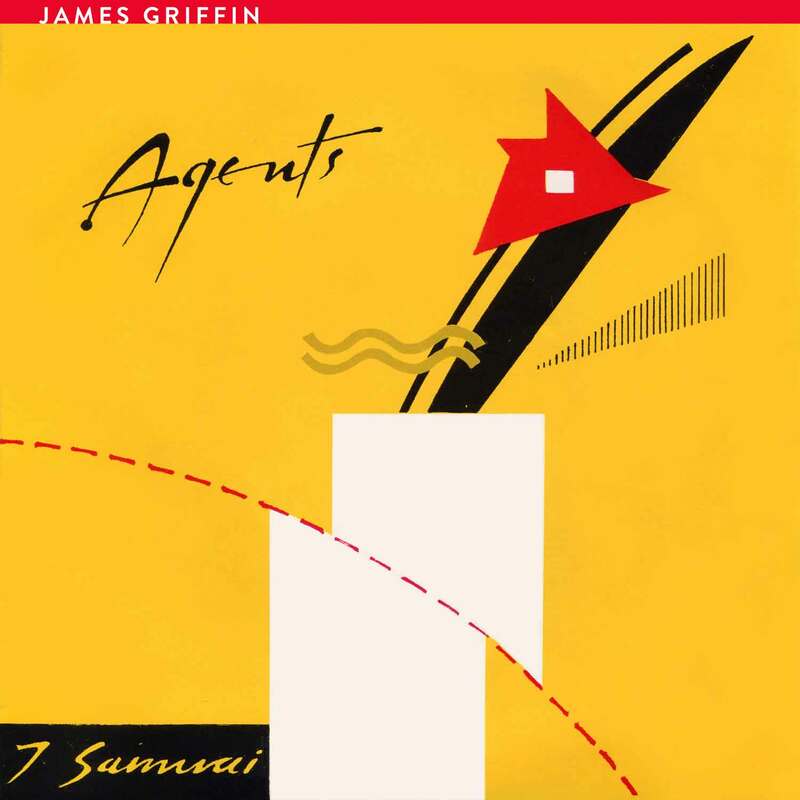 These never-previously-heard–in-public first recordings by James Griffin and his band, the Agents is the eleventh release from James's archive of lost (and now found) songs. "When I decided to form an electric band, after five years of performing mostly solo, I saw it partly as an opportunity to make some different kinds of songs. So I tried to visualize the new songs as little movies: filmic vignettes and short dramas shot on location, in which each verse (and sometimes each line) is one scene, pivotal moment or character description. I tried to make the lyrics as cinematic as possible. 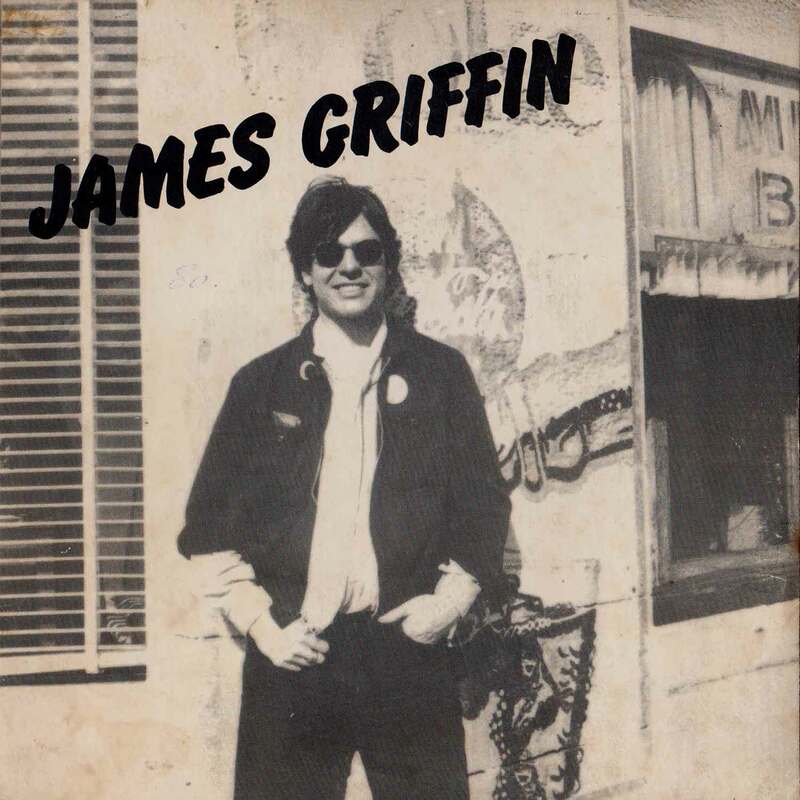 After nine albums of previously unreleased recordings, we're pleased to announce the digital re-release of James's first record, the self-titled EP, JAMES GRIFFIN. This groundbreaking DIY Independent EP is the tenth release from James's archive. The band on the record includes musicians from some of Sydney's most popular punk and post-punk groups, including Wasted Daze, The Kamikaze Kids and X, making this EP a significant historical/cultural moment as well as a jewel-box of exciting songs. This unique solo acoustic post-punk/new-wave EP is the ninth release from James's newly unearthed, previously unreleased archive, Lost Songs from the Rusting Shed of Disappeared Guitars. We called this, '1978' because that's the year James bought an electric guitar, began to look for musicians to form a band and started writing songs with new wave rock'n'roll in mind. 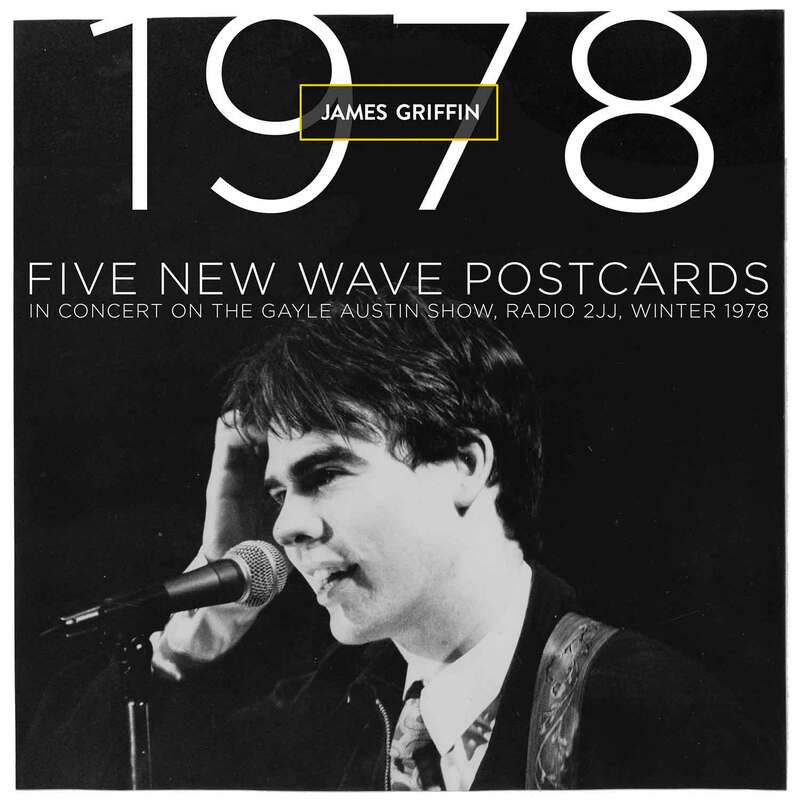 That winter, 2JJ music presenter, Gayle Austin invited James onto her popular evening show to perform some of the new work - and this is the result: solo acoustic versions of brand new songs James would use to build an early version of the Agents the following year. 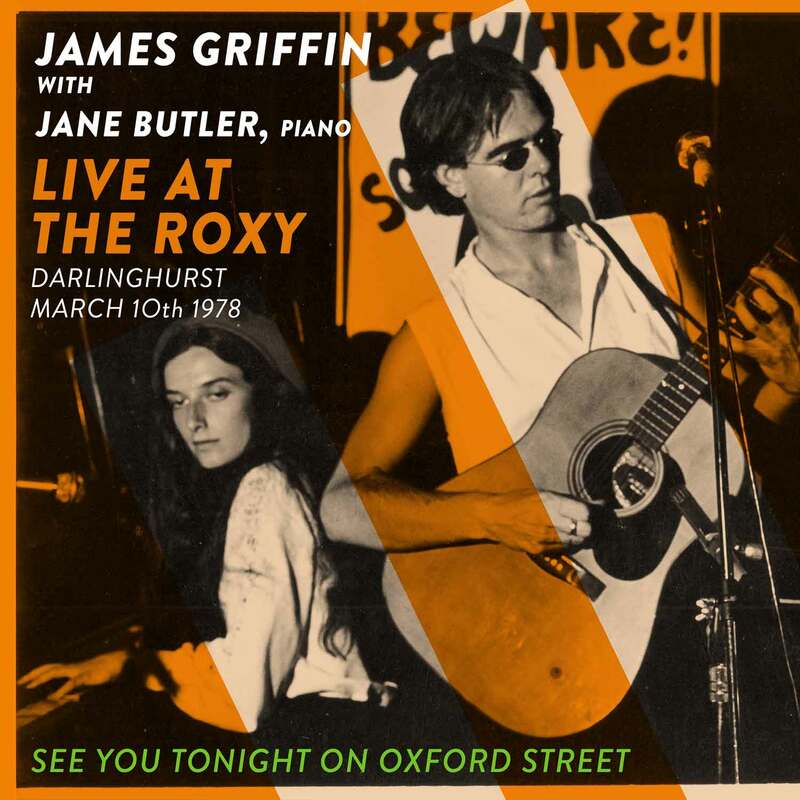 This intimate live alt-folk/punk-folk/acoustic-rock portrait of inner Sydney bohemian life is the eighth release from James's newly unearthed, previously unreleased archive, Lost Songs from the Rusting Shed of Disappeared Guitars. 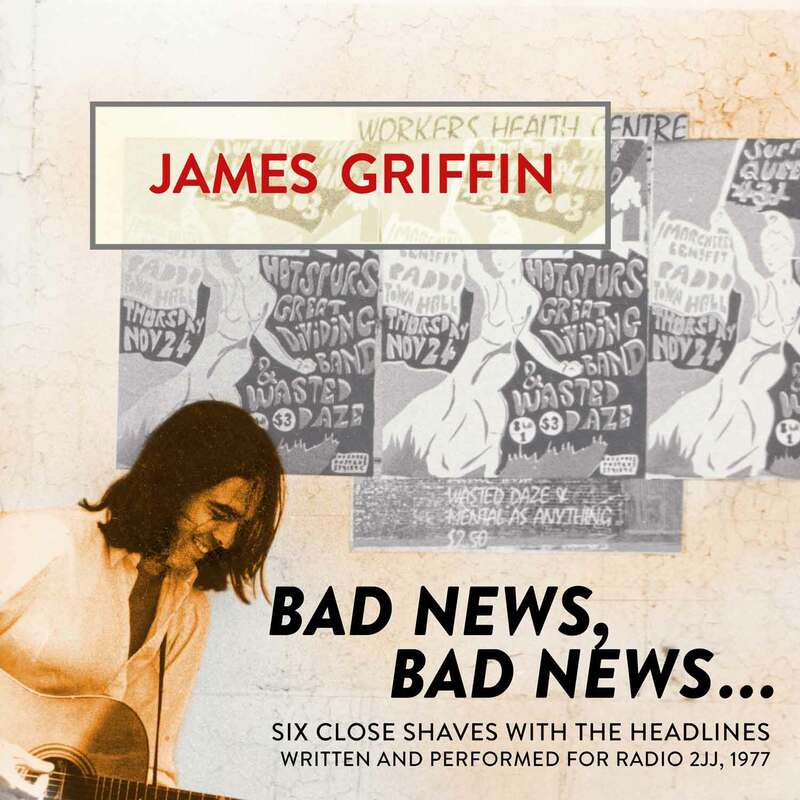 This collection of current affairs based snapshots and filmic narratives is the seventh release from James's newly unearthed, previously unreleased archive, Lost Songs from the Rusting Shed of Disappeared Guitars. When 2JJ invited James to write and record a series of new songs for a weekly news review program called Out Takes, the idea was that each week, for three months, he would deliver a personal, alternative response to the news....via satires, commentaries, comedies based on the headlines....aiming to entertain listeners by having fun with the absurdities, pomposities, half-truths and misdirection so common in public affairs. A bit like being a cartoonist, except with music and lyrics. 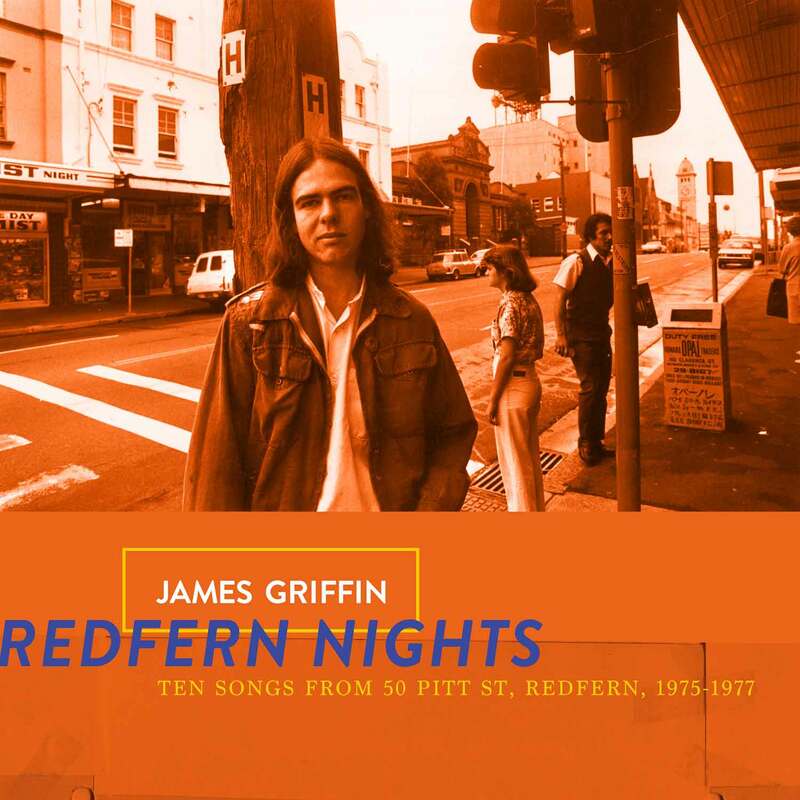 This vivid, poetic, captivating portrait of inner-city bohemian life is the sixth release from James's newly unearthed, previously unreleased archive, Lost Songs from the Rusting Shed of Disappeared Guitars. From a seminal mid-'70s communal house in inner Sydney James composed many of the songs that helped establish his reputation as a songwriter and performer. Some got taped then but others survived only as lyrics and chord changes on scraps of paper....so for this album we've recorded some of those 'paper' songs now....to complete Redfern Nights and to finally share these musical autobiographies, comic vignettes, odes to friends, and meditations on how one might be in the world. 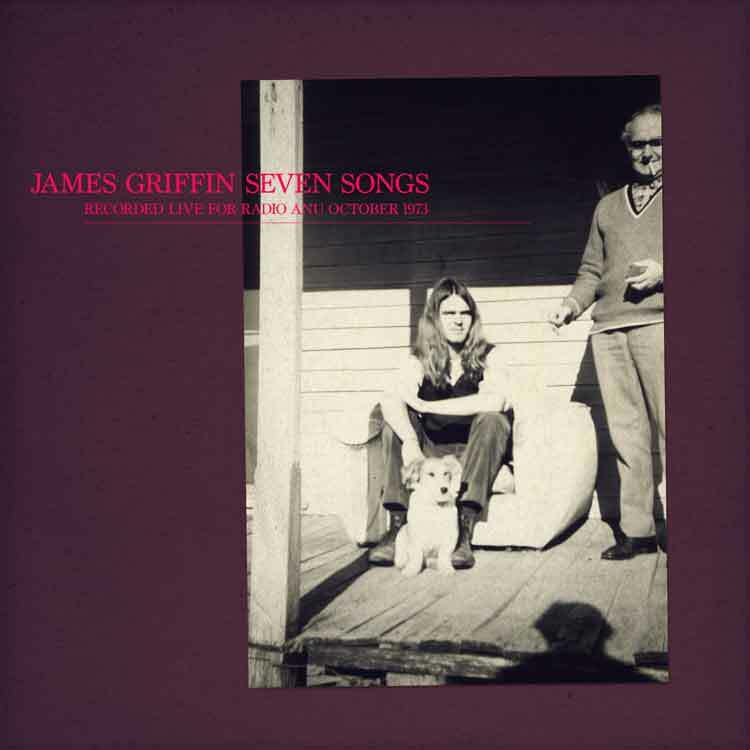 This seven track album is the fifth release from James's newly unearthed, previously unreleased archive, Lost Songs from the Rusting Shed of Disappeared Guitars. 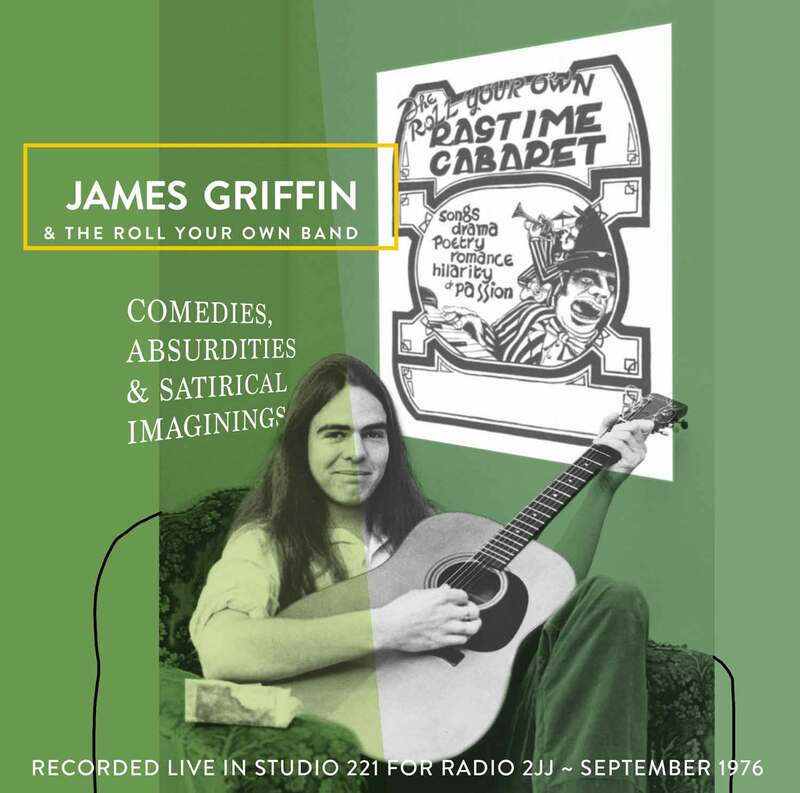 This captivating handful of five road songs, satires, comedies, and social commentary is the fourth release from James's newly unearthed, previously unreleased archive, Lost Songs from the Rusting Shed of Disappeared Guitars. 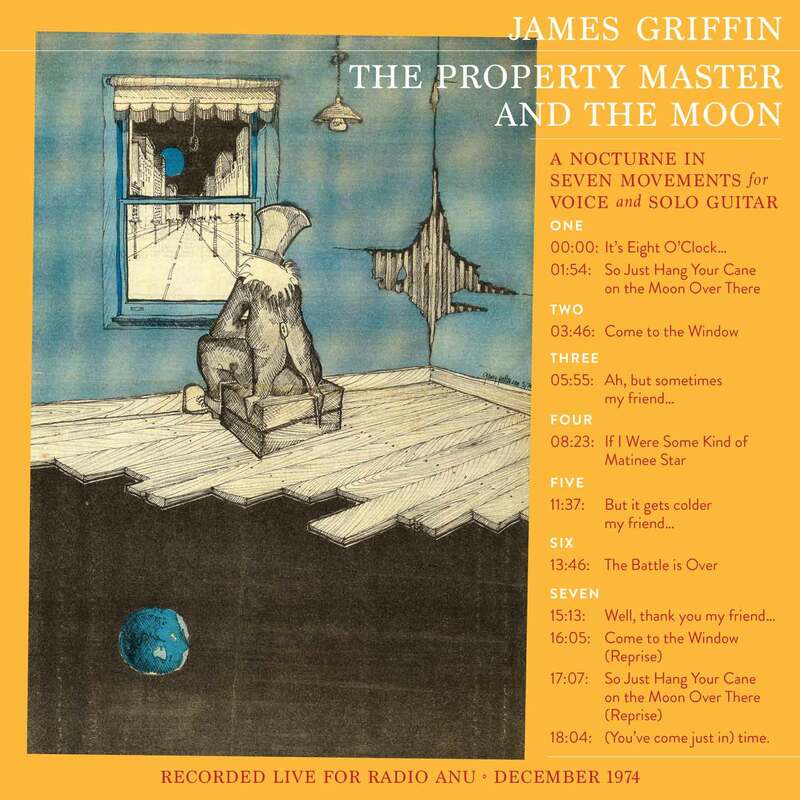 These tracks, plus The Property Master and the Moon are the surviving aural record of a restless year James spent travelling back and forth between Canberra, Brisbane, Melbourne, Sydney and his hometown of Corryong in 1974-75...performing on the street, in house concerts, in wine-bars, folk clubs, and coffee shops, at rent parties...sleeping on the floors of friends, friends of friends, and strangers who became friends, before finally settling in Sydney in early '75. 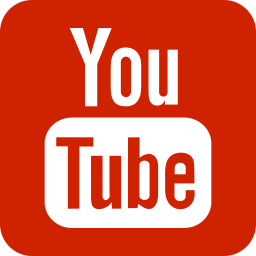 This eighteen minute music theatre performance piece is the third release from James's recently rediscovered, previously unreleased, archive, Lost Songs from the Rusting Shed of Disappeared Guitars. Inspired by a cartoon cut from the back page of a 1974 edition of the Nation Review magazine, the early 70's cinema popularity of the films of Charlie Chaplin and the Marx Brothers, a time when art house cinemas regularly re-ran Humphrey Bogart and Ingrid Bergman in Casablanca, when opportunity shop worlds provided approximations of the 1920s and '30s fashions of The Great Gatsby and Bonnie and Clyde, James created a cycle of song, poem and spoken word that portrays and questions the dreams forged by nostalgia for a time...any time...before the one we live in now...whenever 'now' may be. 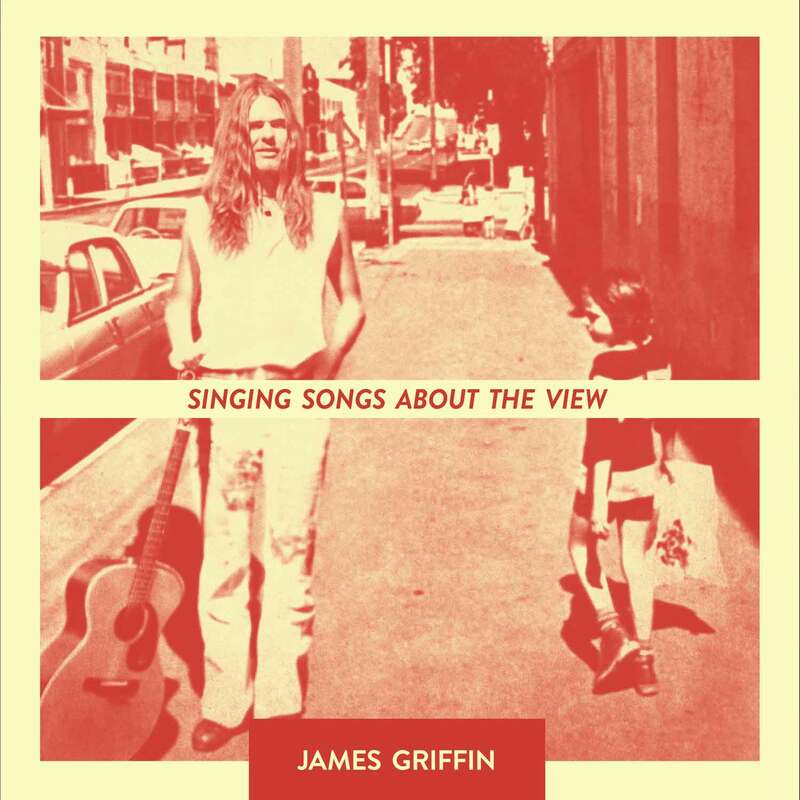 Singing Songs About the View is the second collection from James's archival release project, Lost Songs from the Rusting Shed of Disappeared Guitars. 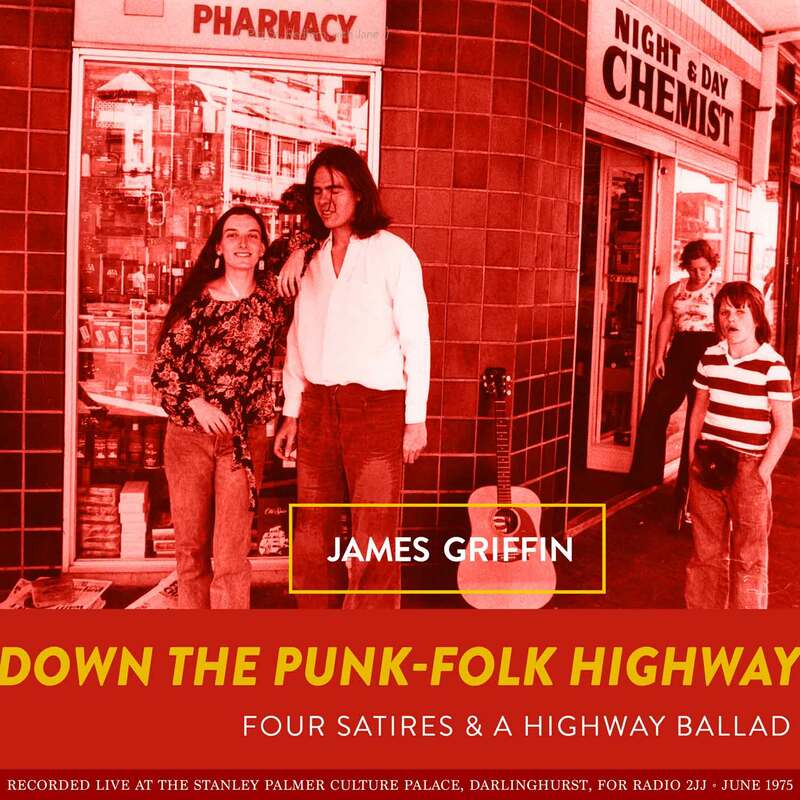 This 8 track acoustic folk album, an early journey into alt country, contemporary balladry and punk folk, was recorded one weekend in December 1973, in a weatherboard room in a heritage listed former military physical training facility in Canberra, when James was 20. An accidentally ironic location, considering the anti-war, anti-establishment stance of his repertoire then. "I wrote these when I was I was 18, 19, 20 years old. I'd read a lot of poetry, listened to a lot of ballads and was teaching myself to dream out loud. It seems like a miracle now that these songs were ever recorded...and even more miraculous that I've still got them. Some of the lyrics were published in poetry anthologies and magazines of the time, so I had copies of those, but many of the musical settings had vanished from my memory....and some of the songs had completely disappeared. It's good to have them back though. I'm enjoying hearing these dreamscapes and stories from this other, distant, strangely different, yet intimately familiar sounding version of myself...and am including some into my live repertoire. And, of course, I'm hoping they might speak to you, now, in some way too....so I do hope you enjoy them...and good luck with that ever-changing view...."
"I'm really excited by this first tape. I found it just this year. It was just a 5 inch reel, unlabeled, in a brown paper bag. Nobody, not me, not anyone, had heard it since 1973. I'd totally forgotten recording any of this.... that there even was a tape.... and half the songs I have no recollection of writing.... or I had only a dim memory and a sense of loss.... nothing else, not even scribbled pages of lyrics. 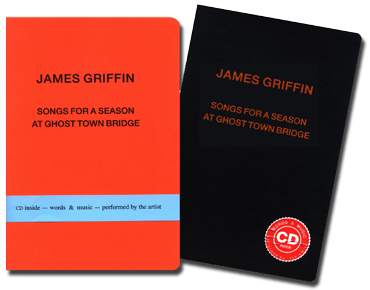 I was only 20 years old when I recorded these and the performances are very rough but for me, there's a kind of promise about the songs themselves.... they feel solid, they have intent, and I'm glad I've decided to share them...."
Songs for a Season at Ghost Town Bridge is a combined CD and book of songs and prose poems. Through a mix of anecdotal magic realism, love stories, chance meetings and lives travelling off the rails, James has created a meditation that is at once humorous, ironic and serious and which offers a sophisticated, contemporary vision of the wide streets and corrugated iron of rural Australia.